The Latest Exactly Matched Aerosol Paint For Your BMW 3 Series? Buy Now! User Friendly Aerosol Spray To Easily Repair Your BMW 3 Series? Detail, maintain and repair your BMW 3 Series all models car paint with the following specialist auto touch up’s application tools supplied enabling your easy accurate precision needed repairs: pen, bottle, can, aerosol, videos, guides, tips & tricks, all free precise information, spray painting & kits which may also be purchased in the application of the following types of body repairs and maintenance: paint scratching, stone chips, dents, scrapes, rust treatment & removal, car cleaning & detailing. Painting Your BMW 3 Series Body, Bumper Using Aerosol Spray Paint? Repairing Your BMW 3 Series Damaged Paint? Car Touch Up Paint send original exact match color from a global paint company that manufactures the paint of Mercedes-Benz (Axalta Group of companies - Standox) the company is Globally renowned. 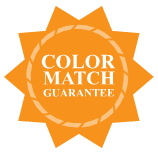 The color that was sent to you is an exact match to your vehicles original paint and if in an extraordinary situation that we find that it is not the exact match you are covered by our exact match guarantee and our business will replace the color at our cost or provide a refund. Rest assured that by using the exact match color provided, along with the total of the scratch removal products supplied in the kit will perform the job of removing and/or camouflaging scratches, paint chips and blemishes as shown in our comprehensive video tutorial, it is highly recommended to all users of our touch up paint products that these tutorials be viewed prior to applying any paint products to ensure the outcome is successful. Always test your products in a inconspicuous area before commencing touch up repairs. For recipients of car touch up paint products. The vehicle may have had previous paint repairs and a non O.E.M paint product was used. Your vehicle has faded paint (this is one of the most common occurrences where paint is not matched exactly, we guarantee to match to the vehicles original paint color, as you would be aware, fading of paint is common where vehicles have had sun exposure, matching to each individual vehicle based on how much fading has occurred as you would understand is virtually impossible) however, the team at cartouchuppaints.com.au has continually offered their services should you bring your vehicle into the shop to have the color matched to the faded paint color as a courtesy to yourself. Poor application of the paint products. (this is once again a common occurrence if the on line video tutorials are not viewed prior to applying the product) .